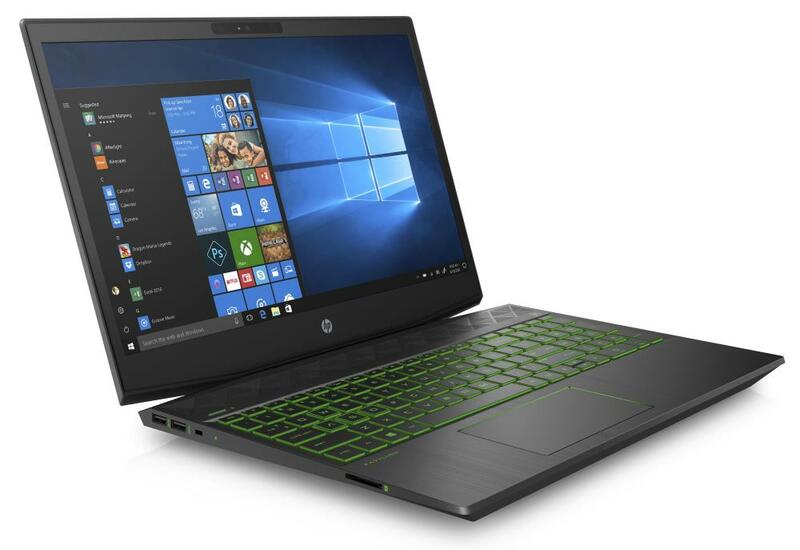 The HP Pavilion 15-CX0056WM is a 15.6-inch gaming laptop. It has basic specs by gaming laptop standards, but it is still a very powerful notebook. 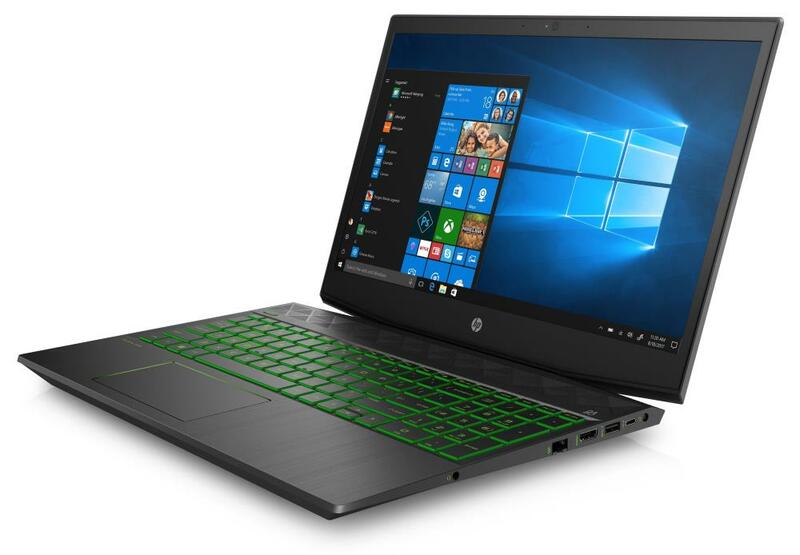 The “Shadow Black” machine features sharp Full HD resolution and IPS wide viewing angles on its 15.6″ anti-glare screen, the 8th Generation Intel Core i5-8300H quad-core processor, the Nvidia GeForce GTX 1050Ti 4GB lower-mid-range dedicated video card, 8GB of RAM, and a 1-Terabyte hard drive. Combination of the Core i5-8300H and GeForce GTX 1050Ti ensures smooth gameplays of all popular game titles. But, in some of the hardware-demanding ones you’ll have to dial down graphics settings for complete smoothness. These components are an overkill for the regular day-to-day computing activities, like websurf, work in Office apps, media playback, and similar. But, they are great if you do heavier tasks like video production or professional photography editing. As for RAM size of 8GB, it is large enough for all computing duties and multitasking under Windows 10, but some RAM-intensive games require more than 8GB for gaming without RAM-related slowdowns. The only major bottleneck of the HP Pavilion 15-CX0056WM is speed of the included hard drive. Its capacity of 1TB is generous, but all HDDs in general are much slower than solid state drive-based storage you can find in pricier gaming laptops. SSDs enable much faster system boot-up times and faster loading of games and other programs. According to HP, the 15-CX0056WM with its 52.5 WHr battery can provide a battery life of up to 8 hours and 45 minutes with mixed computer usage. It will however last much shorter if you play games off the power grid. The HP Pavilion 15-CX0056WM is a part of Walmart’s Black Friday 2018 ad. With its Black Friday price of $599, the notebook will be definitely one of the cheapest gaming laptop models this holiday season. 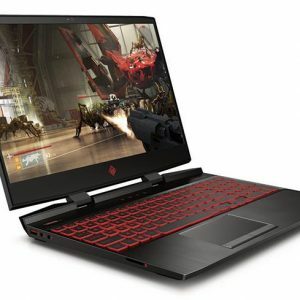 For more Black Friday (and Cyber Monday) gaming laptop deals, you can visit this page. Here's the specs sheet of the HP Pavilion 15-CX0056WM. For comparison against other laptops, use the "Compare Specs" button. does the screen 144hz display? 60 Hz is a standard refresh rate on modern laptops. 144 Hz provides noticeably smoother experience. But the 1050 Ti card in this laptop isn’t powerful enough to always deliver above 60 fps in every game, so it’s questionable whether you would benefit from having a 144 Hz screen on this particular laptop. this laptop has empty slot for ssd? It does not have a separate full SATA connector as the HD is using it but it does have space to fit a m.2 nvme ssd. Anyone know if this has a capture card? Thanks. Video capture card, right? It doesn’t have it. I don’t think any notebook on the market has it. The Nvidia 1050 Ti graphics card in this laptop should have ShadowPlay, which is a feature of Nvidia cards for gameplay recording. I hope someone will confirm here whether ShadowPlay in this particular laptop model is working properly. I assume it does, just like on other laptops with newer Nvidia graphics cards. Anybody knows where and what type of charging cable do I need for this laptop? I cant find what kind does it use. I need a replacement. You can use most any 19.5v HP “Blue” tip charger. I installed BLS8G4S26BFSDK 8gb ram stick and Crucial CT1000P1SSD8 1TB M.2 SSD. Both work great! I swapped the SSD to be the boot and program drive and use the factory 1TB drive for Steam and ROM storage. Works great! How did you get the back off? I took all the screws out and it won’t come off. Start prying at the seam in the case at the screen hinge. I used a guitar pick. You have to get pretty forceful with it. I thought I was going to break something, then it finally just popped open. Laptop is amazing. Upgraded to a 1TB NVME WD drive and I’m using the 1TB 7200RPM HD for data storage. Also upgraded the ram to 16GB. After all these upgrades, I still only spent less than $1000.00. System did throw a blue screen on the video scheduler after running Fallout 4 at 4K on Medium, but I know I probably was pushing it to do more than what I should have. From now on I’ll be running at 1080p. It was still pretty fast at 4K but probably was getting too hot, so I’ll be safer rather than sorry. Inside of the laptop is a single shared heat pipe between the GPU & CPU, so keep that in mind. Cooling is not optimal. HP should redesign this in the next iteration. Yes, it is very good for gaming. Especially if you are ok with playing at medium settings. Normal daily tasks are piece of cake for this laptop. can you send a photo with ssd and memory add? how can i make SSD work ????? An SSD drive can be added right? I just wanna know if I can upgrade the CPU of this laptop? I have this laptop but when I tried to install a Optan 16gig stick in it, it doesn’t seem to work. It’s listed as “offline” in the BIOS and Windows. Can’t access the “Advanced” tab in BIOS and I believe that is necessary to enable Optane. Looked up tricks online to access the advanced tab and non work….the BIOS is extremely limited to the point that all you can do is change the time/date/and boot order. Also, I undated the BIOS version to the most recent HP shows which is version F10. Anyone have ideas? Did anyone else install Optane with no issues? Did you buy your laptop at Amazon?? Yes, I bought mine from Amazon but it is the HP-cx0056wm which is the same one sold at Walmart. Change to legacy boot and see if that unlocks anything. I had to do so to boot from my SSD without any issues. I was cloning the HD but it wouldn’t boot to the SSD and was actually throwing blue screens frequently, so I did a little research. Best bang-for-the-buck deal you will find for a new, retail system. I used BrickSeek and scored one of these for $478 yesterday. Use the link above, enter your zip code and hit up Walmart’s that show these in stock. If they still have any, they were likely mis-shelved or buried in the secure storage cage in back. Go at a slow time and ask nicely for an associate to look up the UPC and see if they have any in stock. If they do have any, ask them to please check in back. DO NOT TELL THEM THE MODEL NUMBER. Just leave it at the UPC. If you tell them you want the BlackFriday HP laptop, they will just say they are out without checking. I went to 3 local stores that had 2-3 listed as being in stock and finally got an employee willing to dig and find it for me after I just asked by UPC alone. With the savings at $478 compared to the $599 Black Friday price, I ordered a 1TB Mushkin M.2 ssd on Amazon for $128 that I will set up as the new boot and program drive and keep the original 1TB HDD for storage. Also, you can add a second 260 Pin 8GB Sodimm DDR4 2666MHZ / PC4-21300 RAM stick. Please, for those that already opened It, what brand It uses for the 8gb RAM? I would like to buy another stick of 8gb of the same brand. What SSD of 256 gb do you recomend for It? Any RAM will work as long as you use the right DDR-4 2666 / PC4-21300 RAM stick when ordering. Make sure you check all the specifications. 100% CONFIRMED: This laptop, HP 15-cx0056wm is on the HP Support website – just search for it – full specs drivers, etc. It absolutely DOES HAVE AN M2 SLOT for either a second M2 SSD or an Optane Module. There are two memory slots, one occupied with an 8GB module. 802.11ac 2×2 MU-MIMO WiFi card. This is a loaded laptop. I have upgraded mine to 16GB RAM PLUS 16GB OPTANE memory which acts as a HDD accelerator – fantastic read speed of 972MB/second, write speed of 160MB/sec using the stock 7200RPM HDD. You must enable either OPTANE or second SSD through BIOS and you need to upgrade to F11 BIOS to do this – They come with BIOS F8. Update is a no brainer. This is the perfect under-$1,000-laptop! Major – Any way you could share the specific parts you used to upgrade? Thanks in advance, and good looking out! what brand It uses for the 8gb RAM? I would like to buy another stick of 8gb of the same brand. I ordered a Optane stick to put in my son’s but will be keeping the 1TB for now. Do you happen to have a link that shows how you updated the BIOS on this specific computer since it sounds like I will need to do that? I actually have a older 256ssd I use as a external hd for backups but I’m not sure how to move the OS from the 1TB drive that’s in the laptop over to the SSD. I guess I’ll see how needed the ssd will be after the Optane is installed. Major, how did you update to F11 BIOS? The HP website only goes to F10 for this computer and that BIOS isn’t giving me the advanced settings for enabling Optane. A better deal is use M.2 SSD instead of Optane and boot with it. 2400-3000 MB/sec. Optane, in my opinion, is overpriced for what it does. It looks like it does have a m2 slot for a SSD. Here are some pictures I took when I took off the back. It looks like it will support an m.2 2280 ssd based on the pictures provided and based on newegg filtering. This means it looks like it would support 2 total drives, both of which could be ssd. NVME M2.0 256GB went in mine yesterday. works flawlessly. Thanks for doing the legwork and taking the risk for the rest of us. Mike – What specific NVME M2.0 SSD did you install? 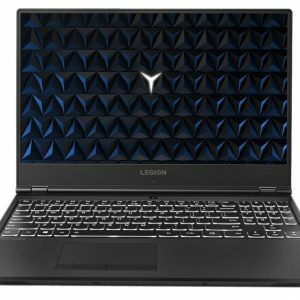 Bought this laptop yesterday and plan on installing a PCIe SSD, but concerned about compatibility. Are you booting from the SSD? Still able to see the 1TB SATA? Thanks for the help. How did you get the bios to boot up off the SSD? Hold ESC and go into bios boot order settings, switch to legacy, then reboot. Then choose the drive you want to boot off of. Use a prepared USB stick (using Windows Media Creation Tool to first set it up) to install windows. They told me this model work with M.2 Sata only? I’m not use to laptops but I do like the idea of being able to remove the battery when I’m not on the go. Is it possible to simply remove the battery here and what are yalls opinion on running the laptop with your cable in? Always read the comments. Users know more than the writers. Writers just provide a basic amount of info. Recently purchased mine and still unopened. Got it primarily for music software production and video creation/editing. Important note: Purchased mine directly from a local Walmart and interested buyer’s need to know, this laptop is not a Black Friday Door Buster Item! This essentially means, store inventory is very good and I was told, this model and price will stand throughout the holiday season. Apparently, Hp and Walmart have agreed to make this unit available indefinitely at this $599 price. $600 for many, including myself isn’t cheap, but for this feature set… It’s as close to an $800 laptop many will get. So, again check your local Walmart first, if you’re serious! Could you possibly find the time to open the bank and see if there’s an m.2 slot? I’m hearing 50/50 on it but no one had actually looked. Thanks much! Was able to grab two of these to, hopefully, play around on Second Life with my partner. I just hope they are man enough to handle the graphics load. Some days I wish I’d taken more computer classes in college—it’s like trying to read Latin when all you have is a Greek dictionary. ;). Could you tell me if there is a port on the bottom to put an additional hard drive? The back on the laptop is one piece, so for adding anything, or changing anything may either be not possible, or difficult. Hey I’m sort of new to the whole PC gaming thing but I’d like to pick this up to play with some of my buddies on PC. Would this PC be able to run some of the triple a titles such as gta, Black ops 4, Witcher 3, and Skyrim? with a 1050-ti triple a titles will run and be playable but only with the graphics turn down to around the medium range but with the screen only being 1080p things will look just fine. To answer your question as far as graphics goes, its plays Ark on max settings flawlessly. Not that I tested this on a lan server so no lag was present. I will update after I run Skyrim. Hi, what is the REGULAR price for this? I keep finding things around the same cot with same specs. For instance, how does this compare?? Maybe I am missing something…. Also to add, I had this in my walmart cart 5 different times earlier, to the point of submitting CC and checking out and I kept error-ing out when it was processing my CC. Then it would say removed from cat and I would have to add it back. Finally now it says 0 stk. It just seems they built up the hype on this model?? I ended up buying that Dell G3579-5941BLK-PUS. It was only $29 more but not sure if i am getting less! If anyone has any insight let me know! I can always return! THanks! I just checked again and now can check out, but not i am torn between the HP and the Dell!!! I cant tell what the difference is with the Specs! doesn’t look much different! 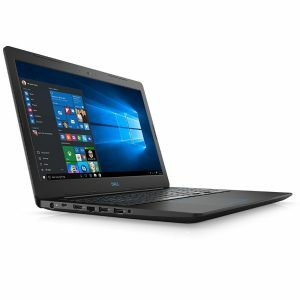 the dell has a gtx 1050 4gb. the hp has a gtx 1050ti 4gb. I do believe there is a difference. Also, the hp comes with the gaming package. SSD is nice on the dell, however. Either way, I think you’ll be happy. Thank you! I read the Ti is titanium, but i still haven’t found out what that means for better performance, the only other thing is that the Dell can be extended to 128MB, where the max of the HP is 8GB (so does that mean there is no port or slot to add memory? This is for my son who is only 10, so I think either way he will be happy! The 1050 in the Dell is 3GB not 4.
it comes with “$170 gaming package” Cuphead and a couple other games. Nothing fantastic but nice. 829.99 is the regular price. How will this laptop fare as a streaming PC? I’m considering buying it to stream gameplay from my gaming desktop (dual PC stream setup) instead of building another desktop for it. But, again for these games you don’t need a more expensive notebook with better specs (like a faster i7 processor or Nvidia 1060 / 1070 video card). This laptop will more than handle FortNite & Roblox. Depends if you are straight, or a bit on the rainbow side. This computer will 100% be able to handle both games. I would not spend money on alienware if I were you. Yes this will handle those games well. I have a fair amount of tech knowledge and I just bought this for my wife but for some reason it isn’t (at least the one I bought) recognizing the dedicated graphics card and this unit should be able to play the games you mentioned and then some! I play on the steam network and it will not allow me to launch any of my games so far to test it out. I’m still tinkering though but it might be going back. I thought this deal was too good to be true. Do you know if this is legit and why I have to wait one more day to order? Also, do you have an idea of how well this would run CS:GO? CS:GO isn’t a demanding game and it works perfectly on the GeForce GTX 1050 Ti 4GB / i5-8300H on maximal (or at least near maximal settings) and Full HD resolution. So this laptop is excellent for CS:GO. You’ll have to wait one more day, because that’s when Walmart’s Black Friday deals start. If all the specs are true, and I believe they are because they are listed on Walmart, this is really an excellent deal. Probably the best Black Friday gaming laptop deal this year. UPDATE: Many users report the laptop does have an M.2 slot for SSD or Optane memory, so my previous comment that the laptop doesn’t have M.2 is not valid. Do you have any idea of how long it will take to deliver? Also, is the 1050ti the Max Q version or an actual ti, and do you think this PC will overheat? According to its specs, the card is full 1050 Ti, not Max Q. Also, I have found this User Benchmark listing of the the Pavilion 15-cx series that confirms that. So, I think it isn’t Max Q. As for the temperatures, I don’t own the laptop so can’t comment on that. Regards! No idea about delivery, sorry, you’ll have to ask Walmart about that. I could not find this laptop model in HP official website, is it very old laptop model? 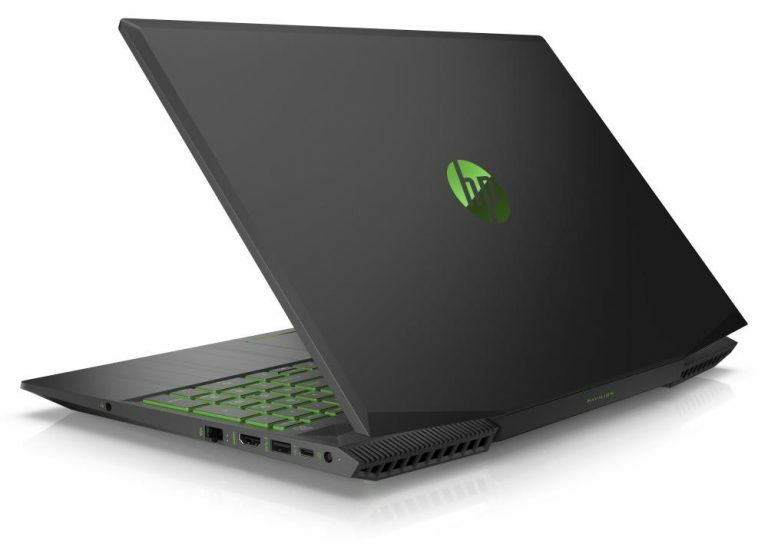 Hi, this laptop model is from the current generation of the HP Pavilion Gaming series, so it isn’t old at all. It was briefly listed on HP’s site, but they removed the page for some reason. 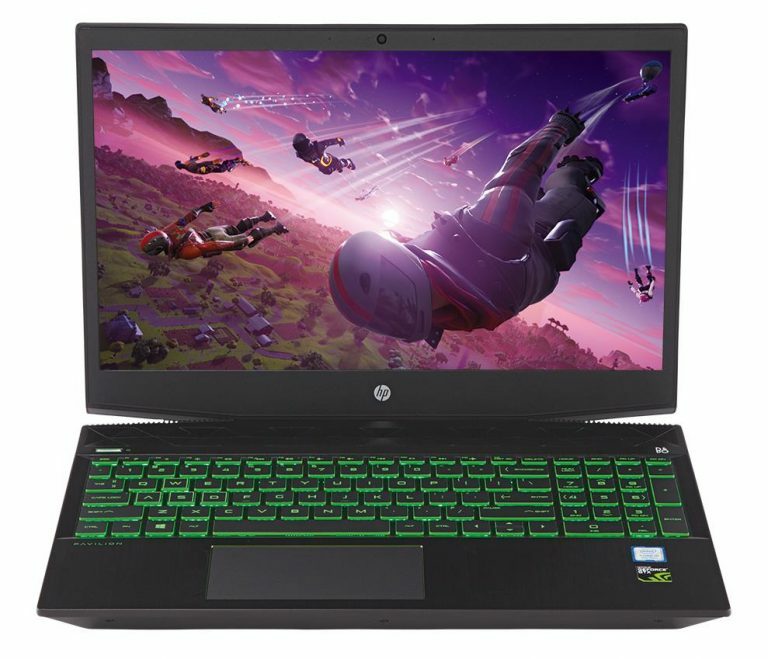 Hi, specs of the 15-CX0056WM were briefly available on HP.com. I grabbed a copy before they removed them. It says the USB-C port is for data transfers only, so it doesn’t support video output. Does this model have an internal M.2 PCIe slot for upgrading to a NVMe SSD or to Intel’s Optane memory? Is it’s mother board Optane ready? There are other versions of this model that are, so I’m curious if this base model has the same ability, but just without the NVMe. It looks like the HP 15-CX0056WM doesn’t have an M.2 slot for SSD / Intel Optane. On the Walmart product page, I have found an answer by HP Team on a question about adding an SSD drive. In another answer they confirmed the laptop doesn’t come with Intel Optane memory. UPDATE: Many users report the laptop does have an M.2 slot for SSD or Optane memory, so statements that the laptop doesn’t have M.2 are not valid. How much RAM anyone can upgrade for this laptop? Hi, there’s no info anywhere on maximal RAM size for this particular model, but the Pavilion Gaming lineup this model belongs to features two RAM slots. HP offers different configurations of the same laptop with up to 16GB RAM (2 x 8GB). I’m 99.9% sure 15-CX0056WM can support at least 16GB RAM (2 x 8GB), too. It can also probably support up to 32GB (2 x 16GB), but I’m not sure about that.